The FISH Interoperability Toolkit is no longer available. 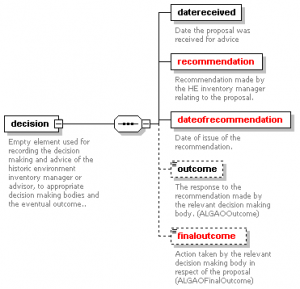 Together with developing a data standard (MIDAS) and a range of heritage indexing tools (FISH Vocabularies), FISH also produced a process for linking (mapping) and improving data exchange of MIDAS information between different database systems. In 2004, on behalf of FISH and with funding from Historic England (then called English Heritage), a company called Oxford ArchDigital produced a rather innovative product called the FISH Interoperability Toolkit. It consisted of a suite of tools which were later redeveloped in 2012 by the Archaeology Data Service (ADS), who also hosted the different components until taken down in 2015. The second edition of MIDAS was expanded to cover other related subject areas, but these were not matched by updated versions of the MIDAS XML schema and Toolkit. Below descriptions are only for information purposes and are no longer valid. The toolkit consisted of four main components which checked, mapped and verified content before exchanging textual and geographical information between systems. 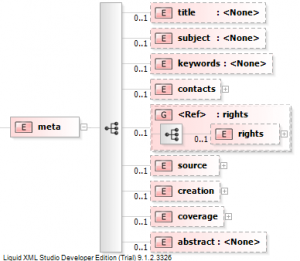 This tool allowed the user to upload their own non-MIDAS XML schema (or sample file), use a visual mapping tool to map between this file and MIDAS XML and then carry out a transformation. The mapping itself was stored in an XSL file under a user specific login for later reuse in this system or it was exported to allow the transformation to be carried out elsewhere. This online application validated the content of MIDAS XML files. The presence or absence of data required by standards such as the English HER Level 1 Benchmark was checked. (Used by Historic Environment Records). Reports were issued on compliance and a watermark was embedded in a new XML file for download. This former online application parsed two MIDAS XML files to find updated records. Reference and New XML files were checked for the updated or new records. Reporting consisted of description and two automatically generated XML files. The first one consisted of only the differences between the two files (i.e. new or updated records only) and the second one consisted of Reference XML file plus ‘new’ records and updated records. This tool read a valid XML file, found the coordinates in OSGB36 format and addsed additional spatial elements for the same coordinates in WGS84 format. If the original coordinate format was WGS84 decimal degrees then additional elements in OSGB36 were added.